Design and co-develop with stakeholders a practical framework for managing basis risk, which can be incorporated into well-established and trusted systems. Exploit new Earth observation datasets, including remotely sensed soil moisture, probabilistic rainfall estimates and new seasonal forecast technologies for improved early warning of drought, and subsequent prediction of drought related hazard to agriculture. 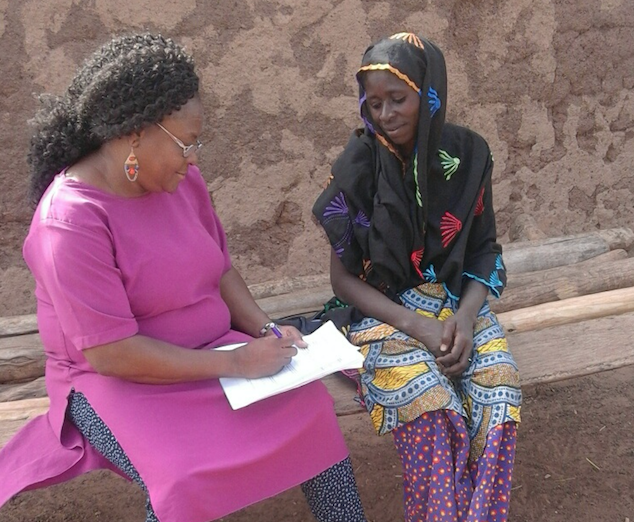 Utilise and assess novel participatory methods for assessing farmer perceptions of basis risk, and its effect on decision making, especially the impact that crowdsourcing might have on insurance design in Malawi. Work with partners put in place operational and sustainable long term solutions for anticipating meteorological basis risk - in the form of scripts that can be run within or alongside trusted systems. At a farm or community level, insurance must fit into the ever-shifting landscape of culture, context and farmers’ existing risk management strategies. Agricultural insurance is able to reduce poverty traps and allow farmers access to new agricultural technologies, but it equally has the power to entrench existing inequalities, leaving the most powerless even worse off. People also have many complex reasons for buying insurance that are influenced by marketing and delivery as much as the product itself. If one wants to use insurance to achieve some goal (such as increasing the uptake of climate-adapted seed), then it is often necessary to have a holistic understanding of the farming system, rather than just studying an insurance product in isolation. There must be collaboration between farmers, finance experts, global reinsurers, meteorologists, agronomists, banks, seed companies, technology experts and many others for an agricultural insurance program to scale and reach greater numbers of farmers. These stakeholders do not often meet, believe that they speak different ‘languages’, and may have competing (and conflicting) expectations about what an insurance program is trying to achieve. These competing expectations can easily lead to missed opportunities or unintended consequences. I am specifically leading the aspects on business models and impact assessment, working with Pula Advisors to map the insurance landscape of Malawi and to use tools like R-shiny to visualise that data. How do you assess satellite rainfall for a specific user? CASCAID aims to bring state of the art climate information tools to agricultural decision making across West Africa. This includes building on agri-business relationships, understanding how crowdsourced data can transform agricultural value chains, pulling climate information into agricultural extension via the wonderful PICSA programme and creating platforms to exchange climate information. My aspect of the programme has been to work with Ghanaian Meteorological Service and the African Institute of Mathematics to validate and understand the fitness for purpose of different satellite rainfall products in Ghana. I have also been working with sociologists at the University of Reading to create a qualitative toolkit to explore the gender dynamics of insurance purchases in the northern part of the country. How do you forecast the impact of flash floods? “In January 2015, heavy rainfall over Lake Malawi basin led to high water levels in the Shire River. 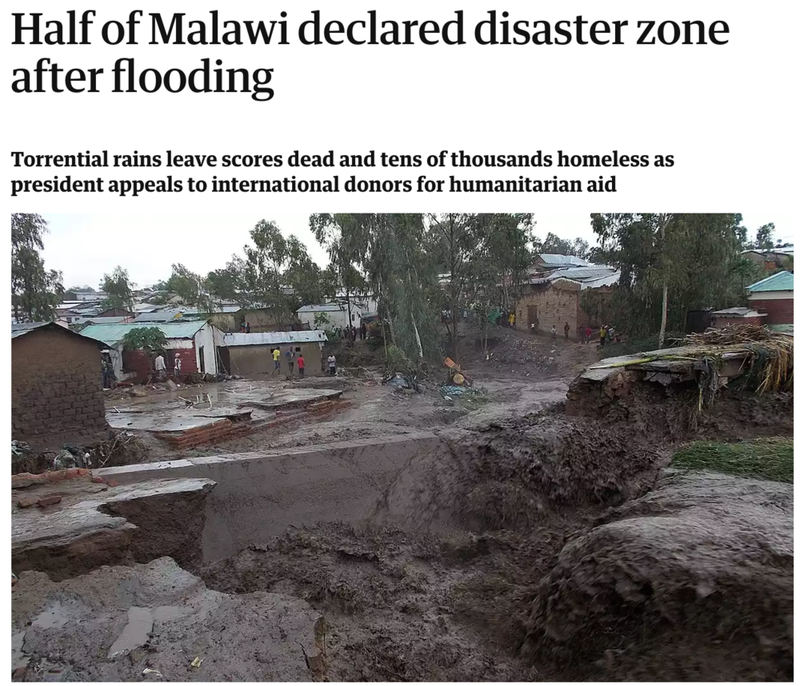 As levels approached bank-full, persistent convective rainfall occurred over southern Malawi, setting all-time daily rainfall records and causing urban flash floods in Blantyre. Flash floods are often left behind in the discussions about early warning. They are often grouped together with slow-onset or river floods, leading to operational protocols that are insufficient (send boats!) and a disconnect between flood forecasts and flash flood impacts. At the same time, there is also a building disconnect between flood impact data and response (NGOs, government agencies) vs the hydrological data and monitoring of the floods themselves. Including flood impact data in forecast evaluation would lead to improved metrics and better link forecast products to response protocols. Develop a global flash flood dataset & maps of flash flood risk, vulnerability and exposure: We will collate traditional and ‘new’ flash flood databases (impact databases from NGOs etc) into a new dataset, which includes user driven map attributes such as new variables (e.g. cost/deaths/ vulnerability) and an examination of appropriate spatial techniques for mapping flash floods. Stakeholder engagement to co-develop matrices outlining the relationship between forecasts and preparedness actions, including identifying existing Standard Operating Procedures (SOPs) for floods, then to explore necessary constraints for a flash flood Early Warning Early Action. Intercomparison of flash flood forecasts, with hazard parameters, evaluation metrics and lead time directly informed by the disaster managers: The first global flash flood model intercomparison and validation will be performed, utilizing the user defined metrics & case studies from E2 and the new observational dataset from E1. The outputs of this work will be stored in an Open Data Commons format. Co-development and real-time demonstration of an EWEA framework for flash floods in Ecuador. Drought is complicated, especially if you care about impact. “The 2016/2017 rains were building on a baseline of poor rainy seasons. From the start of October, I was on rain-watch, trying to understand what might happen. We used the seasonal forecast to come up with a percentage of the rains failing (45%) and decided that it was value for money to start safety net activities. We had existing foundations to build upon and existing resources to roll out a safety net to the most extreme poor. We also focused on red-flagging vulnerable communities. If the resilience of a community is eroded then they get hit by a local failed rains then it means catastrophe. So red-flagging that village means we check in with them all the time and that will impact how we support them through a climate event." We created a website as a result of a conversation between Concern Worldwide and the International Research Institute for Climate and Society on how Concern currently use climate information in their operations and on their vision for the future.